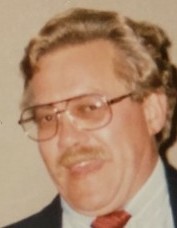 Obituary for James Harold Goebel | Penzien Funeral Homes, Inc.
James Harold Goebel, 71, of East Jordan, died Tuesday, July 10, 2018, at MediLodge of Gaylord. He was born on August 19, 1946 in Charlevoix, the son of Harold J. and Ometa (Jacobson) Goebel. James had worked in agricultural seed sales for many years and oil leases. He had enjoyed fishing and karaoke. A memorial service will be held on Friday, July 27, 2018, at 1:00 P.M. at the Evangelical Lutheran Church in East Jordan. The family was served by the Penzien Funeral Homes, Inc. in East Jordan. Online condolences may be sent to www.penzienfh.com.